Are you tempted? 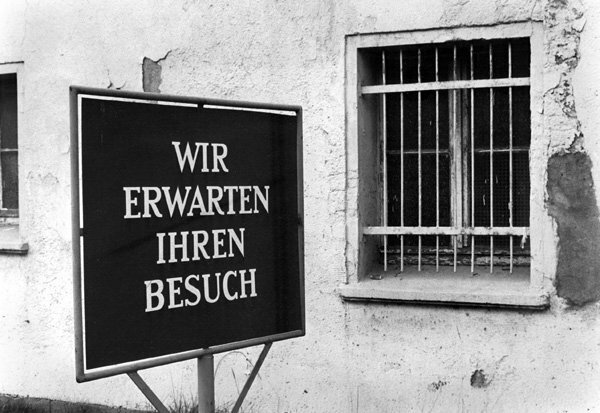 This sign, from a hotel in Kühlungsborn on the GDR coast, 1987, reads “We’re Looking Forward to Your Visit”. Enough said …..
Rostock-Gro§ Klein. 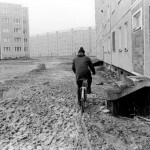 Ein neuer Stadteil in Plattenbauweise entstand in den 80er Jahren fr fast 20.000 Einwohner. 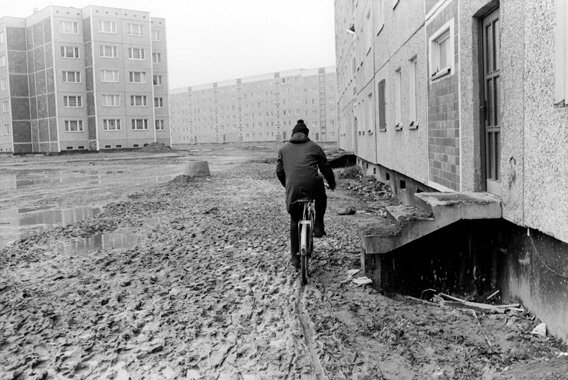 Then this memorable image, from the newly-completed Gross Klein housing estate in Rostock, built in the 1980s in the prefabricated concrete style typical of communist East Germany. It had capacity for almost 20,000 people: progress in residential construction was measured solely in terms of the number of apartments built. The environment of those new homes was regarded as secondary. 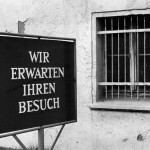 Siegfried Wittenburg took this picture in 1981 but was banned from exhibiting it at the time.